Zamalek beat Ahly for the first time in 21 meetings to lift the Egyptian Cup on Monday and complete their first Double since 1988. The league champions, who had not got the better of their fierce rivals for eight years, won 2-0 at the Petro Sport Stadium in Cairo. The win follows Zamalek's first league title for 11 years. Striker Basem Morsi scored both goals as Zamalek retained the trophy for a second consecutive year. Morsi struck the opener after only 11 minutes, converting a cross from the left, and he doubled the lead 33 minutes later when he capitalised on a defensive error. The two rivals could meet again this season in the final of the Confederation Cup if they win their semi-finals in the continental competition. The first legs of the semi-finals are this weekend with Ahly travelling to South Africa to play Orlando Pirates on Saturday. 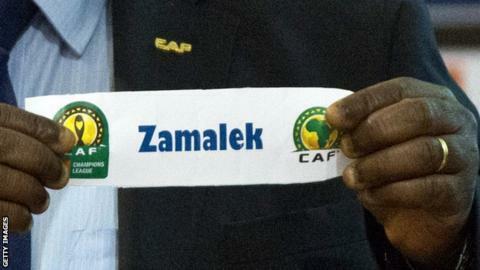 Zamalek face Tunisia's Etoile du Sahel in the other final four tie on Sunday.